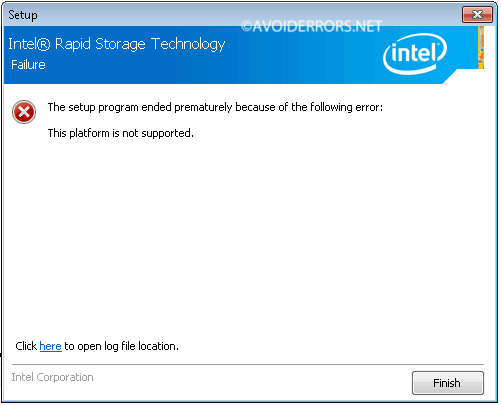 The Problem: I have installed a 3 terabyte hard drive but only 746GB is available, and is not that is partitioned. It just shows 746 GB available in the Disk Management. 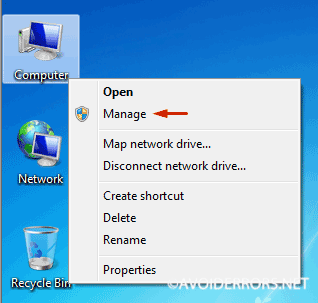 I’ll provide 4 solutions that should help you get the full hard drive space back. 1. 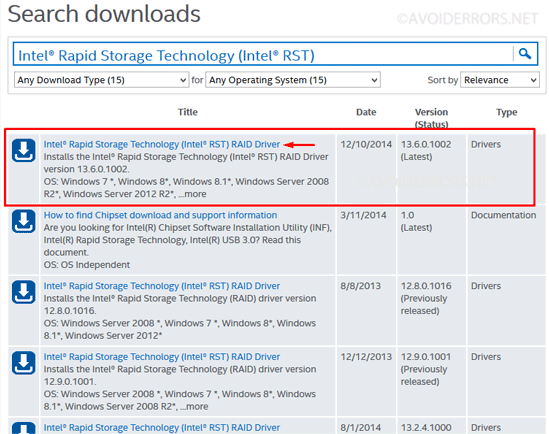 Download the latest version of Intel’s Rapid Storage Technology (Intel RST) drivers from Intel’s site. 2. 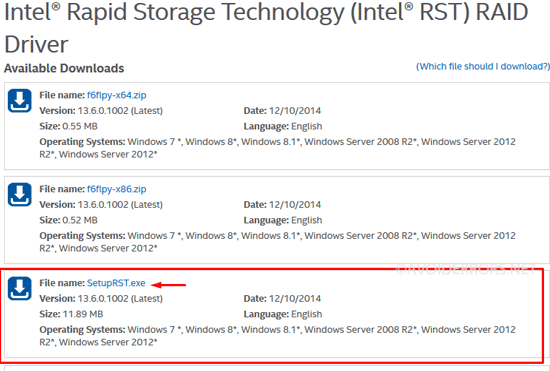 After installing the latest Intel RST, the 746GB will turn into about 2.8TB, or close to 3TB. 1. Make sure to install the latest Windows service pack. 2. 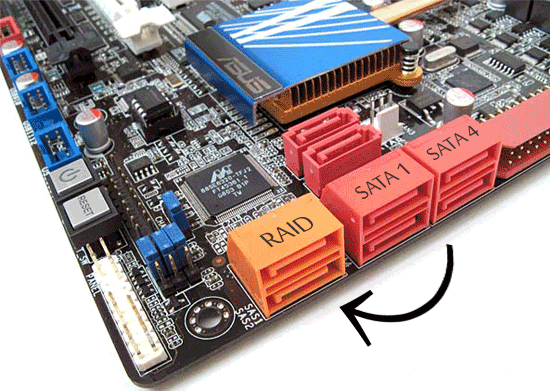 Update the SATA and RAID chipset, drivers to the latest version. 1. Download and burn Gparted to a disc. 4. Right click on the volume black top bar to select New simple volume from the drop down. 5. 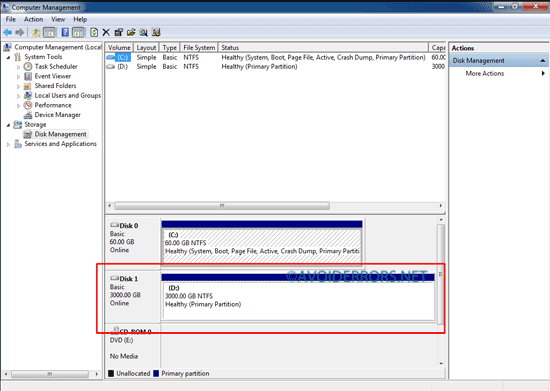 Follow the on screen instructions to create a new volume with the maximum size of 740GB. 6. 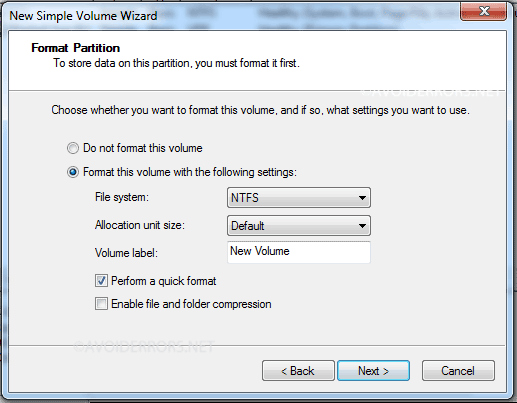 Format the disk volume as NTFS Quick format. 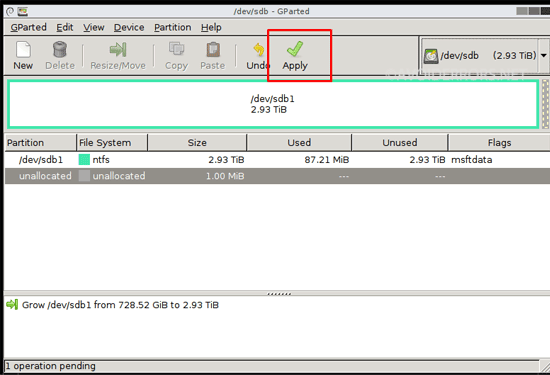 7. place the Gparted disc in the disc drive and reboot windows to boot from the disc. 8. Follow the on screen instructions to boot Gparted. 9. 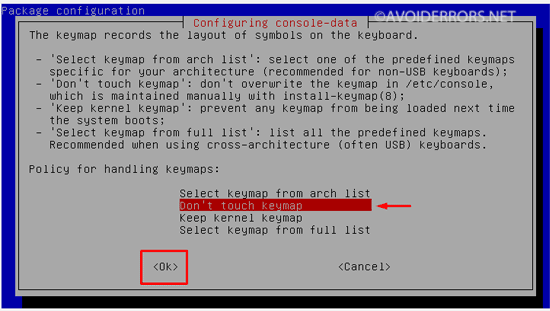 Run the disk tool If it doesn’t run automatically, then select the 3 TB volume from the drop down menu in the top-right. 10. You should see the 3 TB divided into a 740GB allocated and the remainder 2.2 TB unallocated. 11. 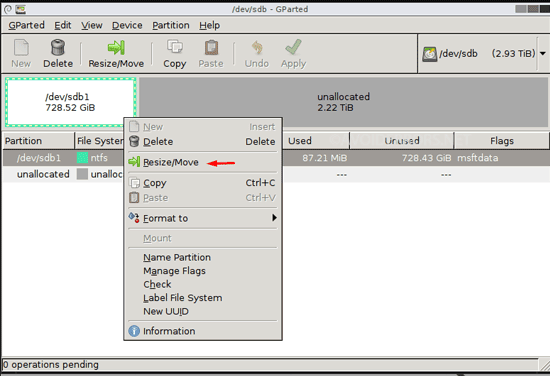 Right click on the 740 GB allocated partition with the green rectangle and click Resize/Move from the drop down menu. 12. 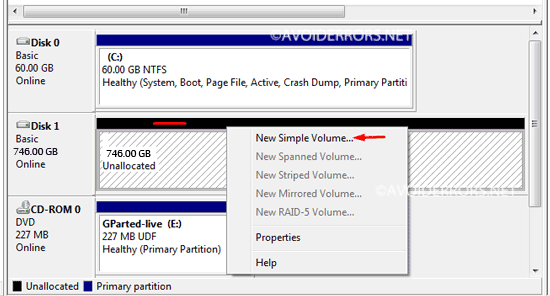 Hover the mouse pointer over the right arrow to drag the bar to the end to allow the full 3TB capacity of the volume. 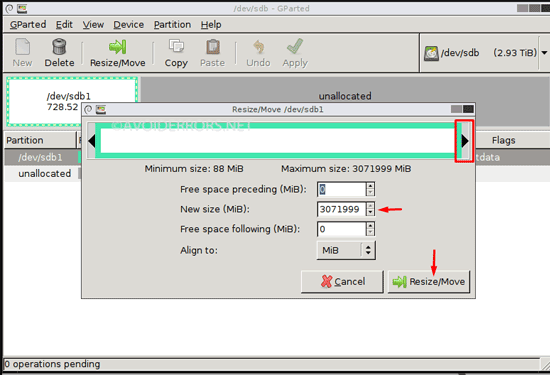 Then click on Resize/Move button. 14. Again click Apply to confirm. 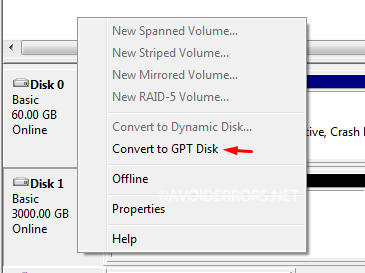 Once done, reboot, remove the Gparted disc and boot into Windows. 15. The disk Should now read 3 TB in size in Windows. Plus is ready to be used. If you have the latest SATA and RAID drivers installed, try moving the SATA cable to the RAID SATA ports on the mother board.